So I think that the website has been fixed. I thought I had everything updated a month ago, but evidently I did not get them uploaded correctly so no one could see them. If you click on the pictures of the books, Simply Charming Collection and Simply Charming Circles to take you to the webpage with more information. 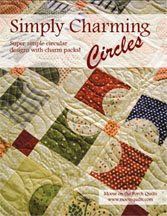 I taught a class on the Charming Bull's Eye quilt from my Simply Charming Circles book last month at a retreat. It was a fun class. I had taught the same class back in January as well at a different retreat. This is just such a fun quilt to make. Ladies are often surprised just how much fun it is. They don't believe me when I tell them that this is an easy quilt to make. Here are some of the blocks that got finished in our 3 hour class. I love seeing all of the different color combinations! Wow. Looks like the link is broken to see the new book on the website. Sorry about that. I will have to find out what the problem is and get it fixed. Like many of you, I am wanting to be in Pittsburgh this weekend. 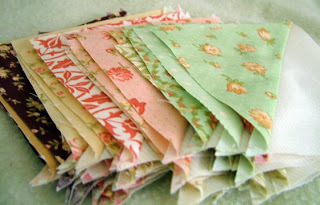 To cure my "Spring Market Blues" I have taken Lissa Alexander's advice and have been busy sewing. Here's a preview of some future patterns. 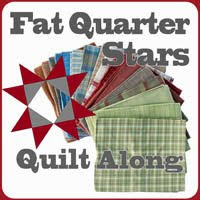 First, I have a partial stack of half square triangles from Fig Tree Quilts new line Mill House Inn. I love the depth of color in this line. 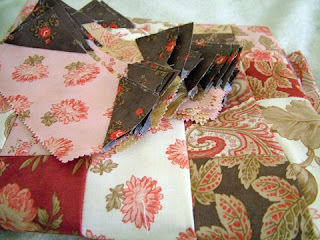 Here is another line I have been fun playing with, Aster Manor by Three Sisters. I love that the pink and brown combination are still around. Luscious! The rectangles on top are for a pieced border. I don't usually do pieced borders, but this one is turning out pretty fun. Here's to wonderful fabric and the therapeutic nature of sewing! Just had to share this picture of my wonderful little dogwood tree. 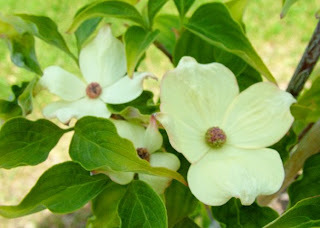 I spent some time in Tennessee and Kentucky and fell in love with dogwood trees. A couple years ago I tried planting a few of them here in the desert of Utah. All have died but this little trooper. It is only a few feet tall, but it has quite a few blossoms this year. Yeah! Isn't it beautiful! After sleeping in on Sunday, I think I am recovered from HMQS. It was so much fun! 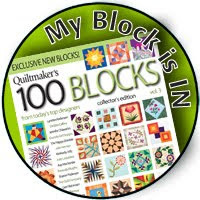 Quilters are just great people. I love talking to all of you. I shared a booth with some other pattern designers, Crazy Old Ladies, who are friends of mine. What a riot. I want to say that it was their fault that I became as crazy as they are, but I don't think it was their fault. That kind of just happens after spending three days in a 10' x 10' space. I spent half of my earnings across the aisle at the Rusty Crow Quilt Shop, a vendor from California. Good thing we weren't there another day or two. I might have just handed her everything just for the pleasure of taking home some of her fabric treasures that I just couldn't live without. She just had tubs and tubs of fat quarters and precut yards that asked if they could come home with me. 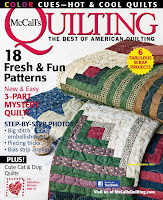 The quilts, of course, were to die for. I cannot even imagine all the hours that go into making them. 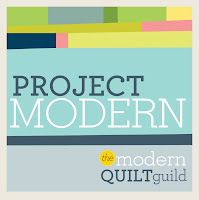 I don't make show quilts at this stage of my life. I do love making quilts that aren't going to give me a heart attack if one of my kids curls up with on the couch. One of my favorites was David Taylor. 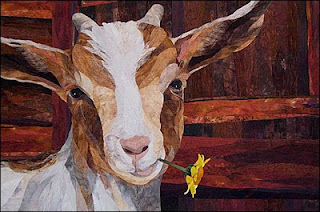 His award winning goat was there as well as other amazing quilts. But the best part was that on Saturday, David Taylor was there quilting his latest creation, an amazing owl. Very cool! I collected four quilts for Quilts of Valor. That was more than I expected. I find people don't usually bring quilts to a quilt show. But many were interested and over 500 flyers were handed out. 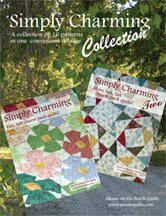 And the "Pajama Quilter's" sister won the drawing of one of my books, Simply Charming Seasons, two 1 1/2 yards of fabric and two coordinating charm packs. Yeah! As fun as HMQS was, there was one downside. I did not get a single picture. Sigh. No excuse. Sorry. 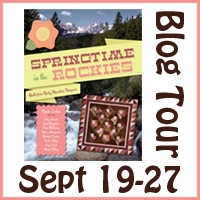 Going to be somewhere near Utah this weekend? 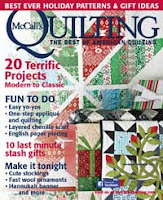 Come to the Home Machine Quilting Show at the Sandy South Towne Expo Center. 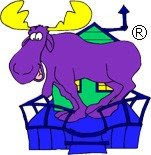 The website is http://www.hmqs.org/ for more info. 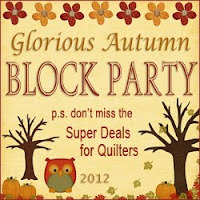 It's a great show with lots of vendors and a WOW quilt show and national teachers offering some fun classes. It's worth a visit if you are anywhere nearby. AND if you come to HMQS, be sure to come visit my booth. It is way in the back left corner near the quilt show. 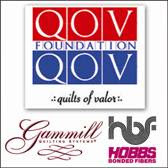 Not only will I have books and fabric you may want to buy, but I will also have information about Quilts of Valor, http://www.qofv.org/. 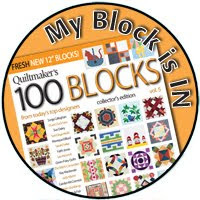 To help the Quilts of Valor organization, I have decided to offer a drawing for quilting prizes worth over $50! To get your name in this drawing, bring a quilt to donate to Quilts of Valor. There are some guidelines like the minimum size in 50" x 60," and it does need to be machine pieced and machine quilted and labeled. You will get your name in the drawing, and I will take care of the shipping cost. QOV quilts are given to Chaplains at VA Hospitals who present the quilts to wounded soldiers. Take a look at the website for more info. Thursday, May 7th - 10 a.m. to 5 p.m.
Friday, May 8th - 10 a.m. to 8 p.m.
Saturday, May 9th - 10 a.m. to 5 p.m. I have been trying a new style of quilting. 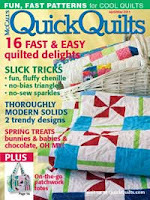 Smaller quilts that you quilt as you go so you don't have to send your quilt off to a quilter. 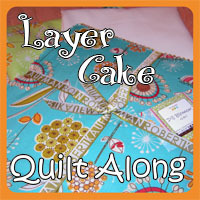 I have just uploaded a tutorial that I made, with a little help from my sister, of a fun baby or child's quilt. 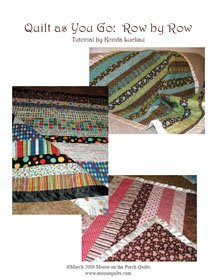 This Row Quilt is a fun quilt to make even if you don't have much sewing experience. 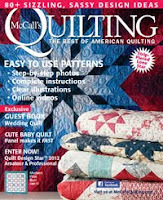 It is very simple and lets the fabric do all the work of making the quilt look great. 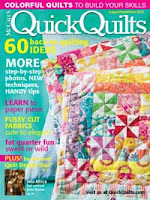 It's so easy these days to get super great fabric that it is easy for anyone to make a super great quilt! 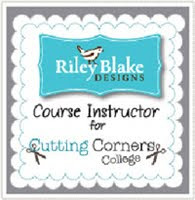 Click on the link below or at the right to see the tutorial. It is a pdf file. 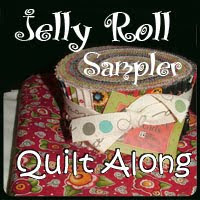 This is a quilt that you can modify as much or as little as you want. Have fun!